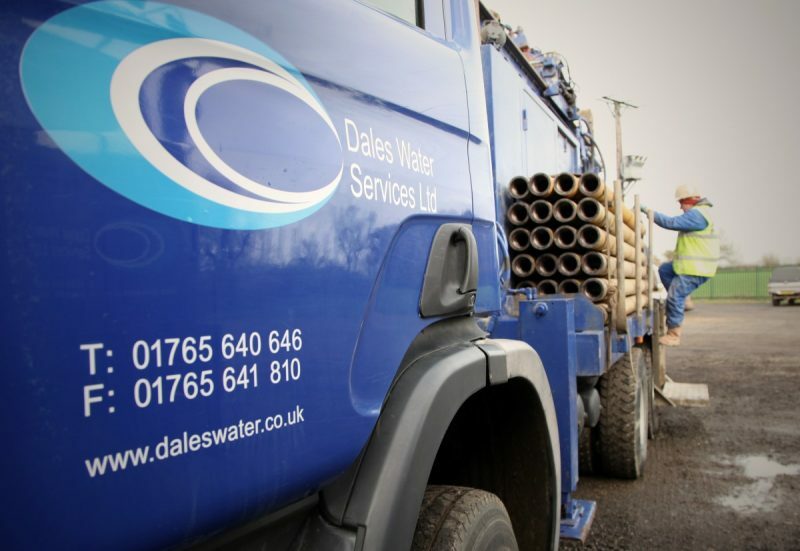 Many of our borehole installations involve taking a business or a homeowner off a mains water supply but keeping that supply available in the background. This is done for many reasons but primarily as a backup source of water should the borehole fail. Thousands of private water supplies up and down the UK have this type of setup, but it’s important that any installations are done so in a compliant manner with the Private Water Supply Regulations and mains water regulations to prevent backflow. This can be achieved by using an air gap. Over the years we’ve heard about, and encountered, a few installations that haven’t been installed in a mains compliant manner. While problems of this nature can be resolved quite quickly many of them do lead to further complications and the case studies we have compiled below from the WRAS website highlight scenarios where improper backflow prevention has resulted in court cases and financial losses for businesses who didn’t have compliant systems in place. In July 2012 Yorkshire Water identified E. coli, Clostridia spp, coliform bacteria and elevated nitrate in samples after a customer complained about the taste of their mains water. This naturally led to an investigation from the WRAS Water Regulations team. One of their Water Quality Scientist’s provided information regarding the possible sources of the contamination and narrowed down the issue to several agricultural businesses near the affected properties. Based on that info Regulations Inspectors inspected all agricultural premises. At one of these properties, the inspectors identified a private borehole distribution system with a direct cross connection to mains water supplying the farm. A private borehole company had installed this without any backflow protection. In fact, the only means of separation was a gate valve which had been left partially open. The Water Regulations Inspectors attending made the farmer disconnect the cross connection immediately, removing any risk or reoccurrence of contamination. The business in question was then confirmed as the offender thanks to the results from a sample taken from the borehole supply. The sample correlated with that of the failed samples collected from the mains water of the affected properties. The owner was subsequently prosecuted for the offence of installation without adequate backflow prevention and fined £400 plus costs of £5000 awarded. Several homeowners on mains water in a Staffordshire village called in their local water company after they had noticed their drinking water had a funny taste and was discoloured. After an investigation, it was apparent the problem only started after a local haulage company had installed a new borehole to wash their vehicles. The Water Regulations Technicians were immediately called in to carry an out inspection of the site. The problem was quickly identified as a direct cross-connection between the new borehole and the incoming drinking water mains. This was immediately disconnected, and as a precautionary measure, 17 local properties were issued with ‘Do Not Drink’ notices. In this case, the firm who drilled the borehole were known to the local water company for previous wrongdoings. Past attempts to educate the business had failed, and the local water company decided to prosecute the groundwork company responsible for the installation. The drilling companies director who installed the borehole claimed that the cross connection was caused by a breakdown in communications between himself and his employee installing it. The case was heard at Sheffield magistrates, and the installation company was found guilty of two breaches of the Water Supply (Water Fittings) Regulations 1999 [Regulation 3 (2) (i) and Regulation 7 (1) (a)]. They were fined a total of £15,102.40, including costs. All water companies in the UK carry out statutory monitoring of their water supplies as a proactive measure. This case study saw a water company in Wales identify a sample collected from a domestic property failing taste and odour requirements. This process involved water sampling of other properties in the surrounding area, which found no evidence of taste and odour issues associated with the failed sample. That led the Water Quality team to investigate the water fittings at the property of the failed sample. No issues were discovered in the property itself, so they decided to look at the exterior which had some poultry units. Here they found a cross connection between the mains water supply and a borehole. The mains supply was being used as a backup should the private supply fail. No backflow protection had been installed and the water supplies were only separated by means of an isolation valve, closed at the time of inspection. The homeowner was required to carry out remedial work to the existing plumbing system to comply with the Water Supply (Water Fittings) Regulations 1999 and was served an infringement notice. The cross connection needed to be disconnected, and their system flushed immediately. The customer’s decision to keep the mains supply meant several follow-up inspections and subsequent samples being taken to ensure full compliance with the Water Quality Regulations. The case studies above highlight the potentially dangerous risks to water quality posed by inadequately installed private boreholes. And what might seem like a short-term cost saving method may lead to illness, court cases, fines and additional expense to remediate the problem. And in some cases the client being complicit in avoiding the regulations to reduce their installation expense. We can’t do much about the third item on the list other than flat out reject the work. But for the first 2 points, it’s important anyone considering a private water supply researches heavily before undertaking any work; making sure they know exactly what is required to stay within the regulations. When it comes to backflow prevention, it is one of the things that’s imperative to get right first time. If you do happen ever to engage the services of a firm who recommends improper backflow prevention (or never mentions it all as part of their scope of works when working with mains water) then run a mile. If you have any questions about the Private Water Supply Regulations or backflow prevention feel free to contact us.